Jill Goldenberg Schuman concentrates in the areas of family law and alternative dispute resolution. Ms. Goldenberg Schuman received her B.S. degree with distinction in business from Indiana University in 1990 and her Doctor of Jurisprudence degree from Boston University School of Law in 1993. She has been with Cohen Garelick & Glazier since graduation. Jill is certified by the Indiana Certifying Organization of the Indiana Bar Association as an Indiana Certified Family Law Specialist. She is a registered domestic mediator. Since undergoing mediation training in 2002, she has mediated 100’s of cases. 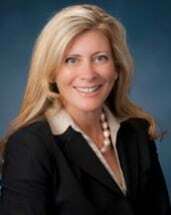 She has also served as a family law arbitrator. Ms. Goldenberg Schuman devotes the majority of her practice to family law matters or mediations and arbitrations involving family law matters. She has been a lecturer in various family law and alternative dispute resolution topics for the Indiana Continuing Legal Education Forum and has several published family law appellate decisions. She was recognized in 2007 - 2016 as a Best Lawyer in her field of family law and was also recognized in 2008-2016 as a Super Lawyer in her field. From 2011-2016 she was selected as one of Indiana’s Top 50 Super Lawyers and in 2009-2016 as one of Indiana’s Top 25 Women Super Lawyers.